And an old guy in a rocking chair. WOODWARD IS FULL OF WATER!!! I was at Woodward yesterday for the fleet 20 fun sail and am happy to report the lake is FULL of Water! I have one for sale if anyone's looking. 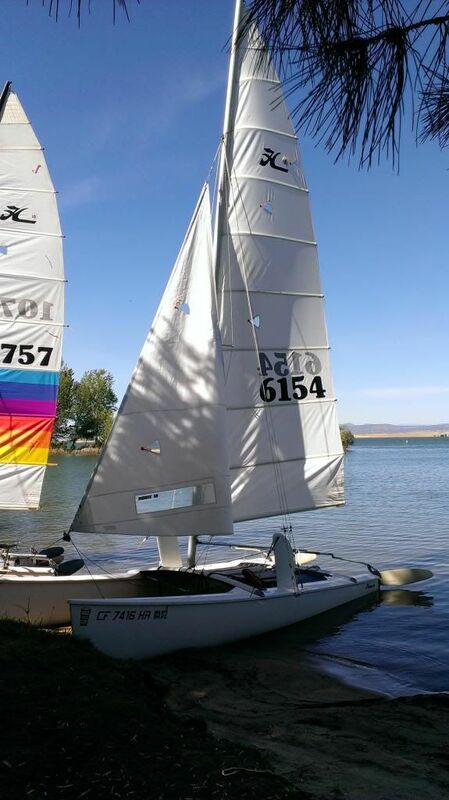 "Hobie 14, 16(A and B), 18, 20, F18". missing anyone? You really missed it, rs. I was on one of 11 18s; there were more 16Bs than 16As; the 20s had close races all weekend; the weather was warm; jumping in the water to cool off didn't do much because the water was almost as warm as the air; winds were kind of consistent, ranging from nothing to about 17, with the occasional puff knocking over the unawares; camping on the lake shore next to our boats; and I think I may speak for everyone there that we had a good time.